Malcolm Brown of BW Energy (left) and Paddy Massey of ReThink Pylons (above left) at a press conference in Dublin today outlining their plans for a pylon-free alternative to Grid25. Ireland’s target of having 40% of energy needs met by renewable sources by 2020 could be met in a single stroke if the Moneypoint power station in Co Clare was converted from coal to biomass, according to a UK-based energy analyst working for ReThink Pylons, one of the groups opposing EirGrid’s Grid25 pylons project. Malcolm Brown of BW Energy today said converting Moneypoint’s three coal-fired boilers, one at a time over an extended period, would cost €380 million. Electricity generated from burning biomass (mainly wood pellets) at Moneypoint would add 25% to the existing 19.6% of renewable energy already produced in the State. The two together would exceed the 40% target Mr. Brown said. Converting Moneypoint would also cut out the need for the €3.8 billion cost of increasing Ireland’s windpower capacity necessary under government plans to meet the 40% target, he argued. In a report prepared for Re Think Pylons, he also argued that converting Moneypoint station would remove the €2.3 billion cost of the Grid25 pylon project and the €600 million cost of the interconnector with the UK to stabilise the power network due to its planned reliance on wind. Grid25 is a project by Eirgrid, the company that runs the electricity transmission network as opposed to the power stations that generate the current, to upgrade transmission lines in the northwest, the south and southeast, and between Northern Ireland and the Republic. Interconnector capacity between Ireland and the UK is also to be upgraded. The plans have garnered significant opposition from local groups, however, and in January, amid fears the issue would impact on the June local and European elections, the Government asked former Supreme Court Judge Catherine McGuinness to examine whether underground cabling was a feasible alternative to pylons. Opponents argue that the pylons, in most instances 60 metres tall, would damage the landscape and reduce the value of their property. Some opponents also cite health fears for people living close to high voltage electricity transmission. Speaking today at the launch of his report in Dublin, Mr Brown based much of his argument on an analysis of the operation of the Drax power station at Drax in North Yorkshire in England. It is the largest power plant in western Europe and provides some 7% of the UK’s energy needs but is also the single largest emitter of CO2. Starting in 2004, Drax began a gradual conversion to biomass, burning locally sourced willow in parallel with coal. In 2012, the process of changing three of the plant’s six units to biomass began – the first of which was fired last June. A second unit is due to go fully biomass this year, and the third by 2017. Mr Brown argued that recent advances in technology had made biomass electricity production both feasible and cost-effective. Security of biomass fuel supply, generally wood pellets, was guaranteed from US timber sources willing to enter nine-year fixed term contracts. When asked by the Ipsos/MRBI survey if the below-cost selling of vegetables before Christmas was good for consumers in the long term, some 64% said it was not. Some 66% of those surveyed said retail multiples did not treat farm families fairly when buying their produce. Just three in 10 people believe the sale of cheap vegetables has long-term benefits for consumers, new research by Agri Aware, the agri-food educational body, has found. In December, Lidl, Aldi and Dunnes Stores were carrots and onions for as little as 5 cent a kilo. They insisted they were covering the cost of the promotion, but the Irish Farmers’ Association claimed farmers would pay for it and it staged protests. However, National Consumer Agency chief executive Karen O’Leary described the price war as positive. The Agri Aware survey of more than 1,000 people also found almost 88% of people think legislation should be introduced to ensure food producers get a fair price from supermarkets. A Bill expected to address this issue has been promised by the Government. 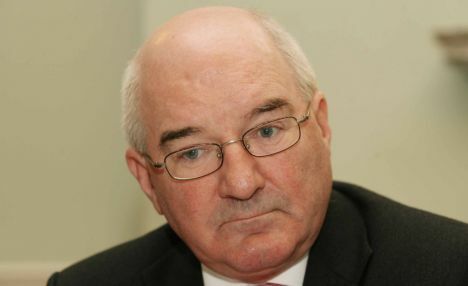 Agri Aware chairman Bernard Donohue said it was clear the public was very much behind the introduction of new legislation to ensure that retailers pay a fair price to farmers for quality produce. “Following the vegetable price war at Christmas, the National Consumer Agency described this as positive, yet this Agri Aware survey clearly demonstrates that the Irish public expect retailers to treat farm families fairly,” he said. 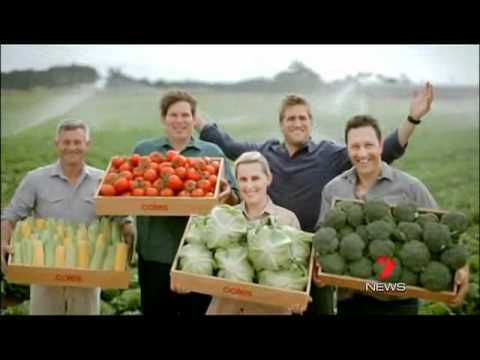 The Agri Aware study also asked if quality or price was the most important consideration when buying groceries. Some 79 per cent cited quality. There was a difference between the importance of quality for those working and those unemployed. Some 83% of those working cited quality first compared with 63% of the unemployed. 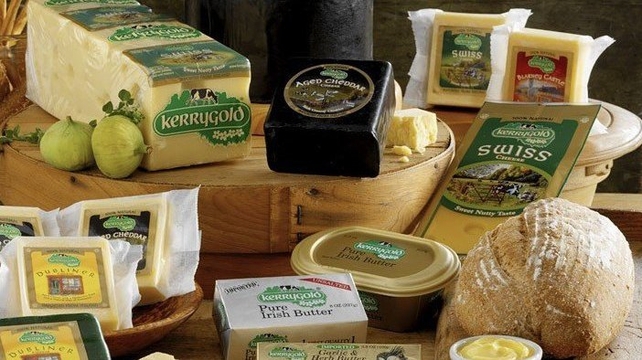 The Irish Dairy Board (IDB), which owns Kerrygold along with brands such as Dubliner cheese, has secured a five-year syndicated loan of €420m to fund dairy businesses expanding overseas as milk quotas end in 2015. The new loan replaces an existing three-year €350m facility, the IDB said yesterday. It includes a €165m syndicated loan facility to fund IDB’s own working capital requirements and its growth strategy. 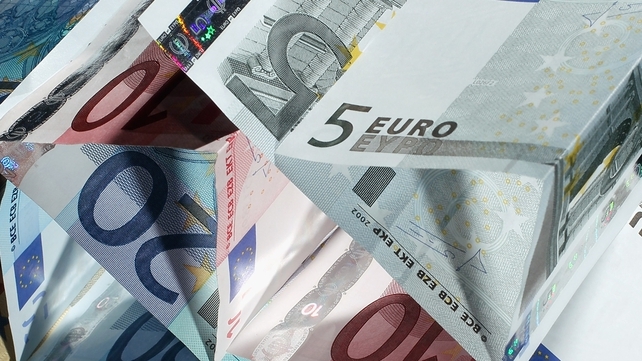 The remaining €255m will be used for syndicated reverse invoice discounting for members. The money comes from Allied IrishBank, Bank of America Merrill Lynch,Barclays, HSBC, Rabobank and Ulster Bank. Reverse invoice discounting was first introduced in 2012 and allows members to discount their sales invoices to IDB, receiving funds up front, with IDB providing security of payment to the banks. It was set up to help companies and individuals as they look for new markets in the wake of theEuropean Commission’s decision to liberalise the milk industry. “The successful refinancing demonstrates the strong support that exists amongst our participating banks for both the IDB and the Irish dairy industry generally,” said group finance director Donal Buggy. “This strong support was clearly voiced in recent meetings with all of our banks and is evidenced by our new facilities being significantly over-subscribed,” he added. 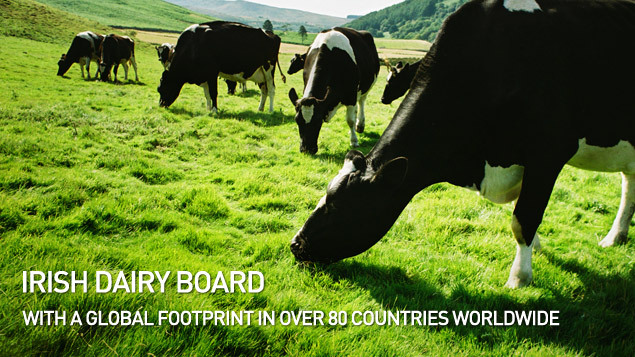 The Irish Dairy Board markets and sells dairy products on behalf of the country’s dairy processors and farmers. The board has sales of around €2bn and employs about 3,100 people globally. It is responsible for exporting about 60pc of Ireland’s dairy products to more than 100 countries. It does this by sharing the story of Irish farming and explaining how Irish dairy products are produced. By building markets for dairy products, it aims to increase the value of Irish milk and to deliver strong returns for farmers. With pre-packing and blending facilities located in Germany, the UK, the US and the Middle East the board also develops specialist food ingredients for many of the world’s major food manufacturers. William McAteer, the former director of finance at Anglo Irish Bank, told gardaí he “was not instrumental” in a deal to unwind businessman Sean Quinn’s holding in Anglo Irish Bank in July 2008, the Dublin Circuit Criminal Court heard this morning. In a Garda interview in November 2011, Mr McAteer denied he was an integral part of the plan to dispose of Mr Quinn’s holdings, that he helped to orchestrate the plan, and that he was aware at all times of the details of the plan. His interviews with gardaí at Irishtown Garda Station in 2010 and 2011 were read into the record by Paul O’Higgins SC, for the prosecution, and confirmed by Detective Sergeant Glenn MacKessy and Detective Sergeant Michael Prendergast. Mr McAteer (63) of Rathgar, Dublin; Seán FitzPatrick (65) of Greystones, Co Wicklow and Pat Whelan (51) of Malahide, Dublin, have been charged with 16 counts of providing unlawful financial assistance to 16 individuals in July 2008 to buy shares in the bank, contrary to section 60 of the Companies Act. Mr Whelan has also been charged with being privy to the fraudulent alteration of loan facility letters to seven individuals. All three men have pleaded not guilty to the charges. The court had heard, by July 2008, Mr Quinn’s contracts for difference – investment products based on share value – involved more than 28 per cent of the bank’s shares. As part of a deal to unwind them, the Maple 10 businessmen borrowed €45 million each from Anglo to buy 1 per cent of the bank’s shares and the Quinn children borrowed €170 million to buy almost 15 per cent of the shares. The unwinding deal was carried out in the week of July 14th, 2008. In his interview with gardaí, Mr McAteer said he had no involvement in the lending to buy the shares. When asked by gardaí Mr McAteer had said he did not recall a series of emails from around the time the deal closed. Mr McAteer agreed he did play a part in trying to find institutional buyers for the Quinn CFDs. He also said he was broadly aware of the unwind deal but there were meetings and telephone calls he was not a party to. 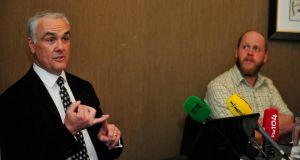 Asked by gardaí if he had instructed others in Anglo to implement the unwind deal, he said he was sure he “instructed people to make sure it was properly executed”. When asked by gardaí if he had anything to add, Mr McAteer said the Quinn CFD position was “unacceptable” and the financial regulator had been “very anxious” to get the holding unwound. Also giving evidence this morning, house builder Seamus Ross, one of the Maple 10, said he had been a client of Anglo for more than 15 years and had a “very strong relationship” with the bank. He was surprised when he was asked to meet Mr Whelan and former chief executive of the bank David Drumm on July 10th or 11th 2008. He said he was asked if he would buy shares in the bank and was told about the Quinn CFD holding and that the financial regulator had approved a deal to unwind it. He told the court he didn’t ask “that many questions” and was a bit surprised by the discussion. He thought what he was told was “bad news” and “he didn’t like to hear there was a problem”. He also said he was surprised the terms involved a loan in his “own personal name” and it was to be a “private venture”. Asked by Mr O’Higgins if he understood the recourse – what would have to be paid back if there was an outstanding balance – he said he believed the recourse was only to the value of the shares and there was no personal recourse. The meeting didn’t take long, he said and he agreed to “go ahead and give the helping hand to the bank”. “I was delighted to do that,” he said. The bank had helped him in the past. Mr Ross said the documents had already been prepared. “I signed whatever documents was put down and I left,” he said. He did not vet the documents, he said. He also told the court that at the time he was fighting a court action which lasted three and a half years related to the presence of pyrite in people’s homes. He said he had “hundreds of people knocking on my door, their houses falling down”. “This was in the middle of all this, so all I can do from memory is to help you the best I can,” he said. Up to 75% of small and medium businesses say they will not be handing out pay rises this year, according to a survey by office supply company Office Depot. That is despite confidence in the sector continuing to grow. The business survey also found that 51% of companies reported that positive media stories on the industry does not reflect the tough reality for most of the companies. Republic of Ireland assistant manager Roy Keane has been urged to recall Stephen Ireland – by the Stoke City midfielder’s grandmother he once falsely claimed was dead. Ireland has not played international football since 2007, when he pulled out of the squad ahead of a match, saying that his grandmother had passed away. When it was revealed that his story was false, Ireland said it was his grandfather’s second wife who had passed away, but once more this was proven to be fake. Eventually he admitted that he left the Ireland squad to visit his girlfriend, who had reportedly had a miscarriage. Keane revealed in the Irish Independent that by a quirk of fate he recently shared a flight with Ireland’s “dead” grandmother, who asked him whether he pick her grandson again. “Well, I spoke with the grandmother this morning, she was on the flight coming over – and she asked me would he get back involved,” Keane told the paper. “I couldn’t lie to her. I said he’d have a chance if he’s playing well. I think [manager] Martin [O’Neill] had a conversation with him, and all that needs to fall into place. “We all know how talented Stephen is and Martin will look at that. “We wouldn’t be shutting the door on any player. “What is important for any player, and Stephen is the same, is it does help to be playing week-in week-out. Ireland spoke of his “regret” at the lie at the time, and suggested last year that he would be willing to return to international football. A new study of the intelligence of New Caledonian crows suggests that the birds have reasoning powers roughly equal to those of a five to seven-year-old child. The research, which was published in the journal Plos One, subjected six wild crows to a range of tests including a “water displacement” tasks based on one of Aesop’s fables, ‘The Crow and the Pitcher’. In the test (and the fable) the thirsty crow has to drink out of narrow container filled with water. The bird cannot reach the liquid but works out that it can raise the water level by dropping stones into the pitcher. When the crows were faced with this task they not only completed it, but did so in the most efficient way possible, choosing containers with higher water levels and choosing objects that were solid, rather than hollow, to raise the water level. The tasks asked for crows to raise water levels to reach food. “These results are striking as they highlight both the strengths and limits of the crows’ understanding,” said Sarah Jelbert from University of Auckland, who led the study. The study concluded that the birds’ understanding of causal and effect was roughly equal to that of a five to seven-year old child. Caledonian crows, a species well known for their intelligence, have been observed making and using tools in the wild as well as placing nuts on busy roads so that they will be cracked by passing cars. 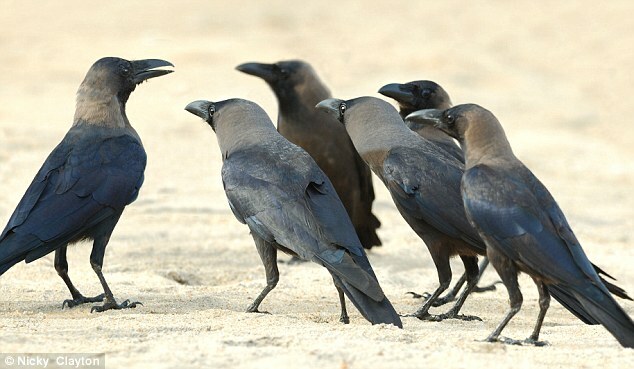 Any doubts about crows’ intelligence? Watch the video below of a crow solving a eight-stage puzzle from a recent BBC documentary. Ancient shrimp-like creature (like artists impression above right) that lived 500 million years ago was not a SAVAGE predator? A savage predator or a gentle vegetarian? For years an ancient shrimp-like creature that lived 500 million years ago had a fearsome reputation as an apex predator. New research from the University of Bristol suggests, however, that the creature was far more placid, avoiding meat and living on plankton. 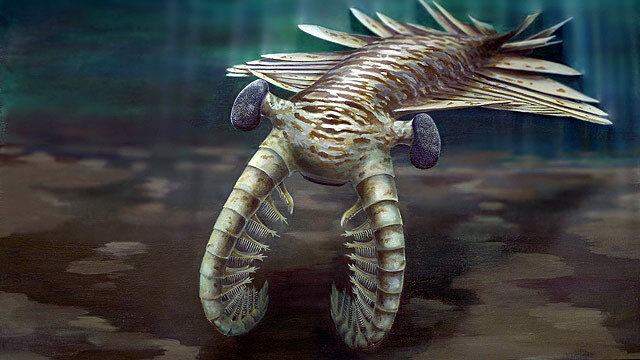 The free-swimming creature Tamisiocaris borealis lived during the Cambrian period between 485 and 540 million years ago. This was a particularly important time for life on Earth, with an explosion of radically new animal designs evolving. The dangerous-looking met re-long T borealis swam about eating all before it, according to original assumptions made about it. These were largely based on fossil remains showing grasping-like appendages near its mouth that are common in other animals in its group, the Anomalocarids. Dr Jakob Vinther and colleagues from Bristol dug up a number of fossils from early Cambrian sediments in northern Greenland and they proposed an alterative view of what the creature had for dinner, in their research report published this evening in the journal Nature . They suggest the appendages on T borealis were used as combs to collect plankton by sweeping it up off the seabed or filtering it out of the water. The appendages had a series of closely placed spines with longer ones and shorter ones and the scientists argue that at least with T borealis , they were used to collect vegetarian fare in the same way as anyfilter feeder. The proposal is of interest to palaeontologists studying the emergence of animals during the Cambrian. If this large animal could survive on plankton, there must have been plenty of it about in the seas at the time, something that tells us more about the local food web, the authors say. It also tells scientists that filter feeding was present at least as far back as the Cambrian era.